Here at KaiNexus, we love it when our customers share with us examples of the improvement work that they are tracking and managing through our continuous improvement software. Mary Greeley Medical Center recently shared a “Kaizen” style improvement that we really enjoyed. We’re sharing it here, with their permission. 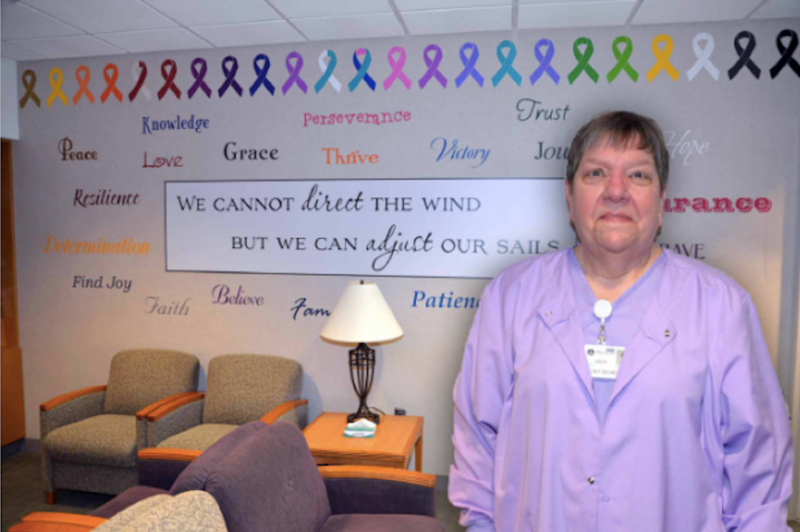 The most recent improvement MGMC has shared with us is “A Wall of Inspiration in Radiation Oncology.” It's such a great story, we just had to share it with you, too. A once blank wall has been decorated with words of support and encouragement, all done in varying colors and fonts, for patients and families. Julia Wolfe, unit secretary, thought the wall would be the perfect space for something inspiring and motivational. Julia submitted the idea via KaiNexus and then did some research on companies that could provide the lettering for the words. Radiation Oncology staff members chose the words, as well as the colors and fonts. Julia chose the cancer ribbons that border the top of the wall. Facilities staff applied the words to the wall. “We have had so many positive comments on the wall.” While it was being installed patients told me they couldn’t wait to come the next day to see what the words were going to be,” says Julia. Why do I love this Kaizen? Let me count the ways. It was an opportunity that was identified by a front line staff member, Julia. Julia got input from patients and their loved ones, to help look at things from their perspective, which led to a key insight and an idea that might not have occurred to her. 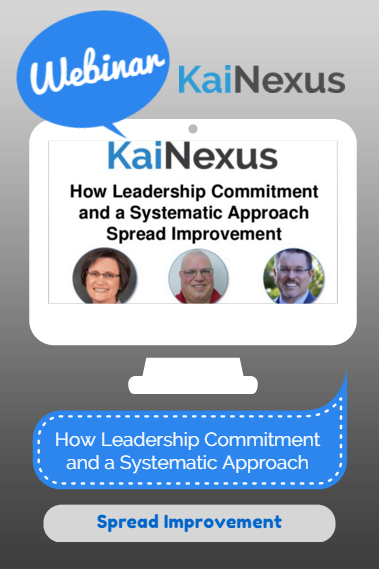 There was teamwork and collaboration from multiple departments and roles within the hospital, managed, and coordinated through KaiNexus. It’s a small improvement, which we encourage in the Kaizen methodology (see a video we created about no idea being too small). it’s an improvement that’s not focused on cost savings, but rather, on improving the environment and the patient experience. Our customers report enormous financial benefits, but not every improvement needs to save money. The organization shared the idea and gave recognition, which will inspire Julia to continue implementing improvements and it will inspire others to be creative in improving their departments - turning blank walls into something inspiring. The methodology of Kaizen is incredibly powerful in healthcare (as it is in other industries). It requires leadership and some form of technology to help make improvement happen and to spread continuous improvement more widely. Does your organization have examples like Julia’s? Again, thanks to Mary Greeley Medical Center and their leaders for being willing to share this example.